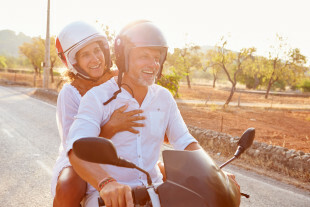 Adults 50 and over are some of the United States’ most frequent travelers; however, they can be particularly at risk for various vacation woes. Whether embarking on a multi-week cruise, taking a quick weekend road trip or traveling abroad to Denmark, Scandinavia or other destinations in the world, travelers should take steps to avoid certain snafus, say experts. * Make copies of travel documents or scan them and email them to yourself so they won’t go missing, even if your bags do. * Keep at least one source of money, such as a credit card, in a place other than your wallet — preferably not on yourself. Use hotel safes when they are offered. Being without a method of payment when you’re traveling can be a major pain. * Unplug electronics and turn off your main water supply. If possible, have a friend keep an eye on your home. * A security system can add peace of mind. A variety of 24/7 home security monitoring services include smoke, fire and carbon monoxide detection. Home automation solutions now allow travelers to adjust lighting remotely and receive security alerts on mobile devices. AARP members can receive 20 percent off new ADT installations and $2 off monthly monitoring. * Thirty percent of travelers have experienced identity theft while traveling or know someone who has, according to a recent survey. Leave items like social security cards or unneeded credit cards at home. Avoid public Wi-Fi when possible and make purchases with credit cards, which often offer better fraud protection than debit cards. * Require passwords for access to your devices. Be wary of entering personal information when using public computers. A variety of identity protection services are available to assist with proactive identity and credit monitoring. For example, AARP Identity Theft Protection from TrustedID offers AARP members over a dozen identity and credit protection features including on-call protection specialists. * If you’re traveling abroad and get sick or injured, hospital costs could be extreme, even for relatively minor issues. Protect your travel investment. Travel insurance can include medical coverage, trip interruption and more. Another option, emergency travel service membership, can benefit you in the event of a medical emergency. Subscribers make the call on where they want to go for care and treatment within their home country. Consider enrolling in AARP, as members get up to an 18 percent discount on MedJetAssist emergency travel service memberships. * For additional vacation tips and discounts, visit aarpdiscounts.com. For $16 a year, members can often recover the cost of membership by taking advantage of just one offer. ABOUT THE DANISH PIONEER NEWSPAPER – SINCE 1872 – ENGLISH & DANISH ARTICLES – THE DANISH PIONEER NEWSPAPER IN ACTION: Did you know that The Danish Pioneer’s staff, editors, photographers columnists and writers help readers discover unique travel destinations, interesting films, concerts, books, theatrical works, festivals, exhibitions, sporting events, delicious restaurants, special birthdays and scholarship opportunities in the USA, Canada, Denmark & Scandinavia. Come discover more in 2015. 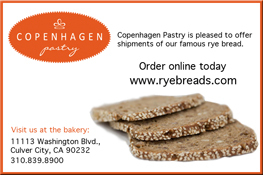 Visit our full website at: www.thedanishpioneer.com.